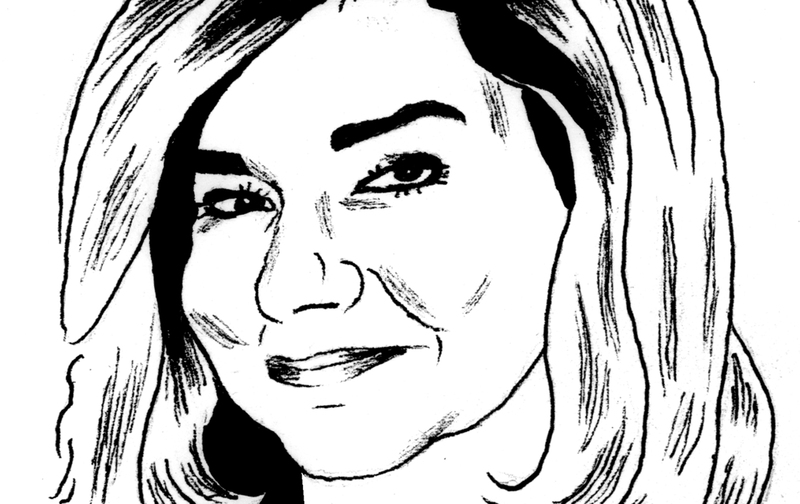 Margaret Sullivan first became known on the national stage as the public editor of The New York Times; now she’s the media columnist for The Washington Post. JN: How did Trump go from outsider to winning candidate? MS: Trump has manipulated the media masterfully. I don’t say that with approval, just stating the obvious. [It was] a defining element of the campaign. JN: How did the media miss the story so badly and get played as a result? MS: So many journalists are in New York, Washington, LA, and so we only go to the center of the country, the red states, as tourists. [Toward the end of the campaign,] I saw a lot more attention by the nightly network news to coal-mining country, to towns with factories closing down in Ohio. And they were talking to workers there, and they all seemed to be Trump supporters. It sort of seemed like a revelation, but this was all there before. We weren’t excavating it before. JN: How did the media’s coverage of Hillary compare? MS: There was definitely sexism in the coverage. There was a lot of attention paid to this front-page piece in The New York Times about how Huma Abedin’s various marital issues somehow reflected badly on the campaign. I really wonder whether that would be the case with a male candidate: Would that be seen as reflecting badly on his campaign? I don’t think it would even be connected to the campaign. JN: And the coverage of Bernie Sanders? MS: Sanders was, I think, early on disregarded as a distraction. A lot of people in mainstream media felt like it was going to be Hillary, and so [Sanders’s campaign] was something to give a little bit of attention to, but not to take too seriously. And even the tone of the coverage tended to be, at times, somewhat disparaging and disrespectful. JN: Meanwhile, cable networks were running uninterrupted speeches by many of the candidates—especially Trump. MS: It’s terrible, absolutely terrible. It’s just advertising. There’s no contextualization; there’s no fact-checking; there’s no compare-­and-contrast. It’s just an uncritical and unfiltered blast of propaganda. That was distressing to see…. It comes back to the perceived need—maybe it is a real need—to fill time and to drive ratings. It all comes back to that. JN: And what’s the effect of these networks turning to campaign surrogates for analysis? MS: They are rarely, if ever, going to say, “You know what—that’s a good point!” or “Yes, you’ve kind of changed my mind on that.” That’s not what they’re there for. For me, it’s almost unwatchable. JN: What did you think of the fall debates? MS: I thought it was not helpful to hear the candidates talking over each other and arguing in a way that didn’t get us very far. This whole business of the debate commission saying, “Well, the moderator is there just to direct traffic, but not to fact-check and not to make themselves part of the story”—I guess in a more civil society, and maybe a few years ago, that would’ve been OK. I don’t think it’s working anymore. Debates are so important to people forming an opinion about the candidates that they need to be as good as they can be—and I’m not sure they are. JN: What do you make of the disdain for journalists and journalism that was expressed throughout this election? MS: I’m such an idealist about what journalism is and can be and should be. To have so many people feeling that it’s untrustworthy, evil, in the tank, corrupt, is very painful.